The orientations of the European Union insist in the necessary acquisition of a series of key competences by the citizenship, as a crucial condition to attain a full personal, social and professional development that suits the demands of a globalising world. Between these competences, we have digital competence . 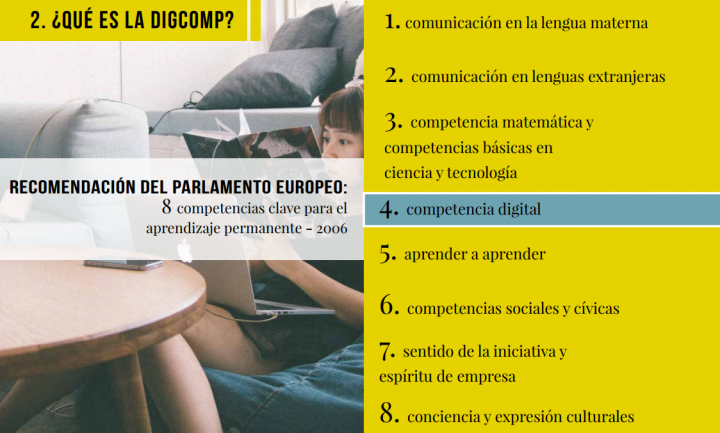 The digital competence is one of the eight key competences for the permanent learning and it is essential for the participation in an increasingly digitalized society. 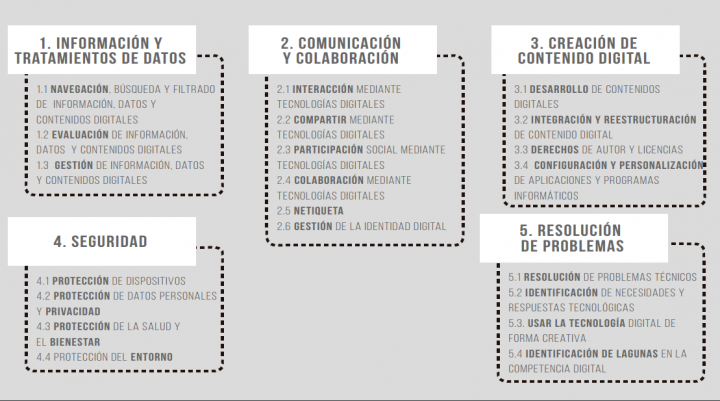 ¿What is the digital competence? "...The group of knowledges, skills, attitudes, strategies and sensitivity required when using the ICT and the digital tools to do tasks, solve problems, communicate, manage information, collaborate, create and share contents, and build knowledge in an effective, efficient, suitable, critical, creative, autonomous, flexible, ethical and reflexive way for work, leisure, participation, learning, socialisation, consumption and the empowerment". The DIGCOMP lays out a new paradigm for REBIUN, concernig the way of understanding the training, and introduces new concepts: digital competence, digital literacy, e-skills, media literacy. Therefore, the contents of the courses developed by the University Library, are gradually adapting to this new framework and from this academic year 2018-19 are now called CID courses. To know more about digital competence we recommend you to visit the REBIUN website.